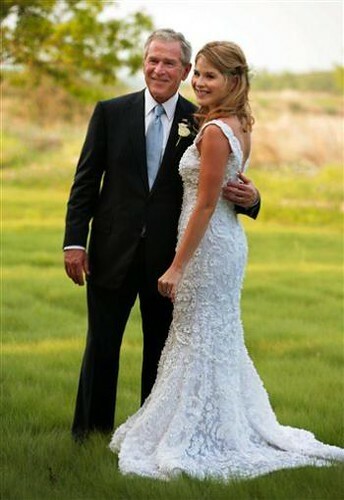 Jenna Bush married Henry Hager at sunset on Saturday and now the first photos of Jenna Bush's wedding are circulating. 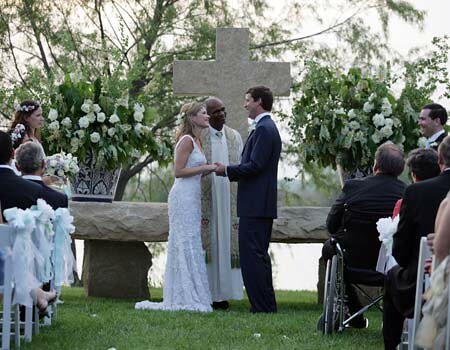 Over 200 guests attended the wedding ceremony of the President's 26-year-old daughter held on the 1600 acre Bush ranch near Crawford, Texas. Jenna's twin, fraternal sister, Barbara, acted as maid of honor. 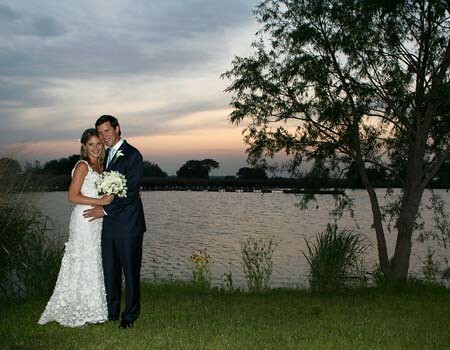 First Daughter Jenna Bush wore an Oscar de la Renta wedding gown while her attendants wore Lela Rose chiffon dresses. The men were attired in dark blue suits and light blue ties. The post-wedding entertainment was provided by the Tyrone Smith Revue with the President and Jenna dancing to the tunes of "You Are So Beautiful." As he boarded Air Force One on Sunday, President Bush remarked that, "The wedding was spectacular. It was all we could have hoped for."